to live in communion, among ourselves and with others. we stand together, united in our common mission." of our communities, provinces, or regions in different parts of the world. 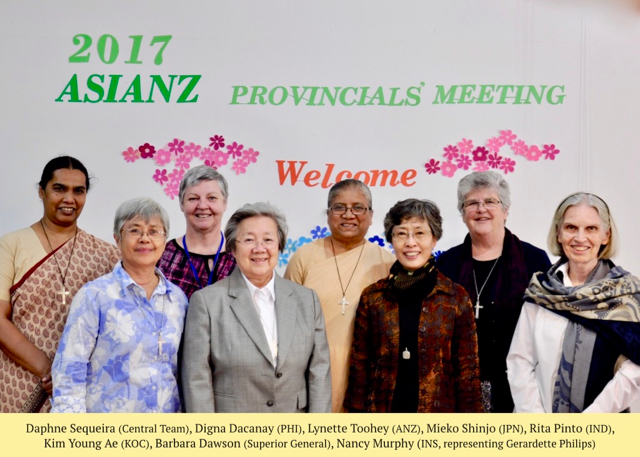 The provincials of the ASIANZ Region, along with with Barbara Dawson (Superior General) and Daphne Sequeira (General Council Link), gathered in Seoul on 10-14th October 2017. "We shared the realities of our various provinces as well as reporting our post 2016 General Chapter processes. This included our present context, concrete issues, challenges and hopes for the future. We appreciated how much we are already sharing communications, personnel and resources, and carrying out joint projects, hosting international experiences, or exchanging visits. As we discussed issues, such as formation and new ways of organising ourselves, we made a commitment to act as One Body.... We all felt this meeting had been a deep experience of group discernment, a gift of the Spirit." After the silent prayer with Sophie, following the Mass at St. Francis Xavier, the probanists discovered that the gentleman, who was likewise there at prayer, bears the name Barat. He traces his ancestry to the brother of Sophie's father, and he knows about Sophie. He was there with his wife to visit and pray with Sophie before returning to Argentina, where his ancestors emigrated and cultivated the vineyard. 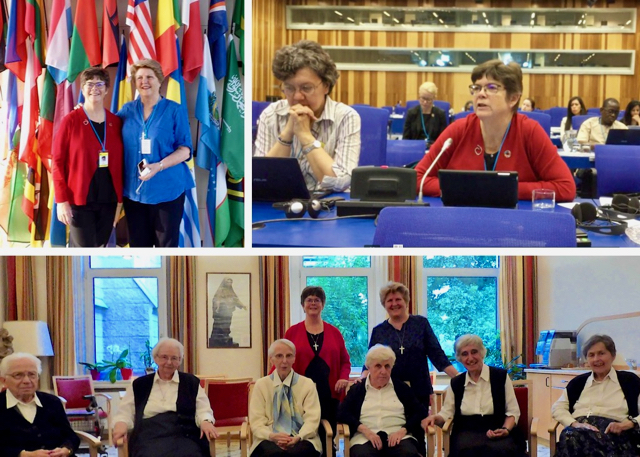 which was held in Vienna on 5th September 2017. Click here to view Sheila's three-minute oral presentation at the session. 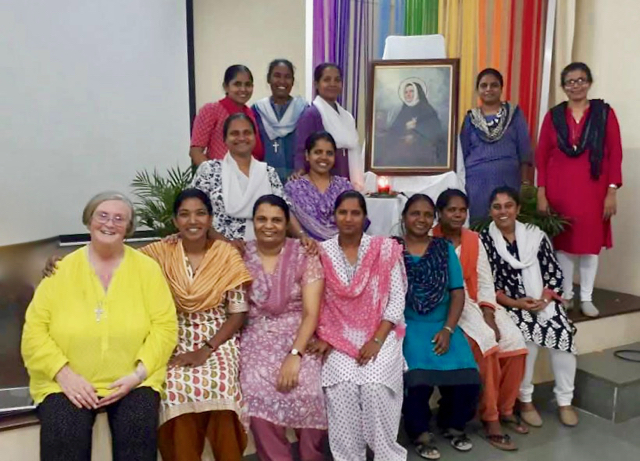 Click here to read the full text of the Society of the Sacred Heart. Anne and Sheila (with translation help from Hanni Woitsch rscj) also had a lively exchange with our sisters at the community in Rennweg on issues about migration, climate change, and peace. 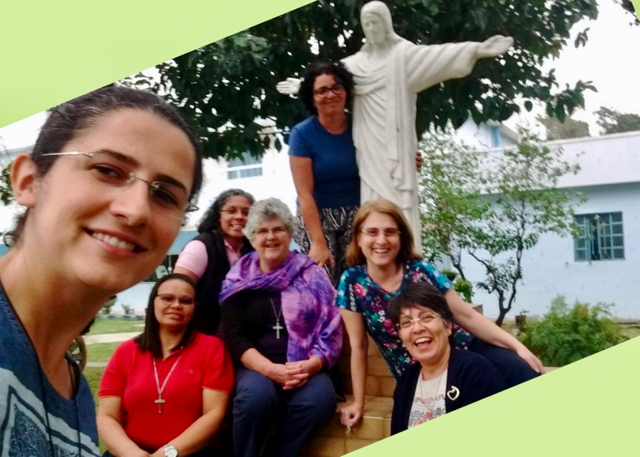 In August, the province of Brazil had days of being together and sharing with Barbara Dawson (Superior General) and Mónica Esquivel (General Council Link). 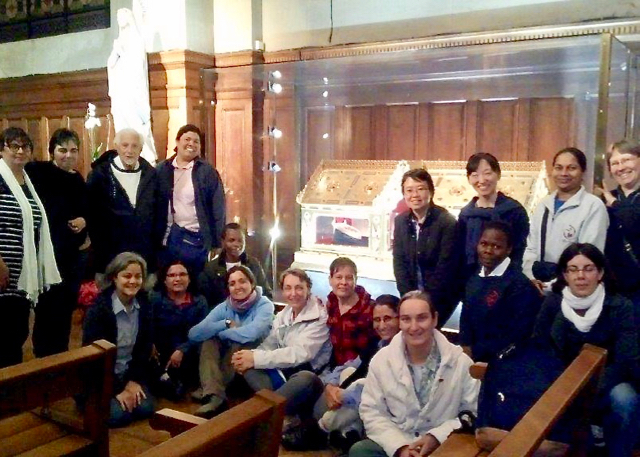 There were gatherings with the provincial council and the group of youngest sisters; visits to the community of elderly sisters and Saint Estevão, the community that is farthest away and most inserted among the poor; and a lovely afternoon with the sisters from all of the communities who came to Rio de Janeiro to share their life and mission.